Roger Gomis of US Gorée could be a player to watch in the future. Gomis is only 17 years old and is currently captaining the Senegal U-20 national football team. Gomis is primarily an attacking midfielder. My first record of Gomis is from October 2010. At the time, Gomis was playing for Yeggo Foot Pro in Ligue 2, the second level of Senegalese football. Gomis was a regular member of the Senegal U-17 national football team in late 2010 and early 2011. In January 2011, Gomis was part of the Senegal U-17 squad for the 2011 African U-17 Championship in Rwanda. 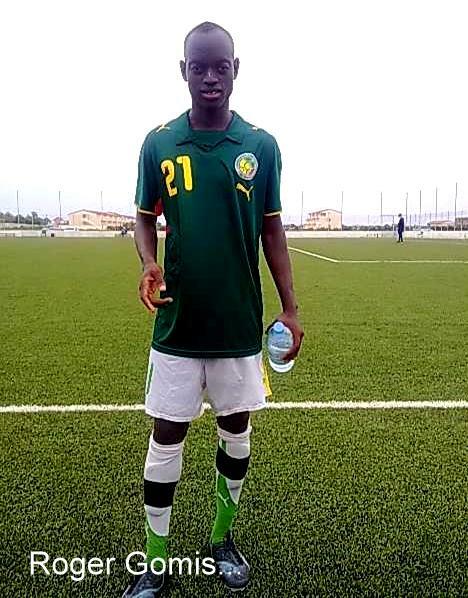 Gomis played all three matches for Senegal U-17 and was also team captain. After the tournament, in May 2012, Gomis signed for top level side US Gorée. He made his debut in Ligue 1 the same month and he scored his first goal at top level on 17.07.2011 against ASC Diaraf. Gomis played regularly for US Gorée during the second part of the Ligue 1 2010-2011. Gomis continued to make impressive performances for US Gorée during the Ligue 1 2011-2012. Gomis played regularly but missed some matches because of commitments with the Senegal U-20 national football team. Despite being one of the youngest players in the team, Gomis was recently named as team captain. According to Transfermarkt, usually a trustworthy website, Gomis is born 05.09.1994. Gomis is the kind of player that can heavily influence a game. He is a disciplined, hard-working player and a true fighter. Gomis is great in recovering the ball, is strong in the duels and for a teenager, his passing is wonderful. Excellent webpage http://senesport.info has described Gomis as a serious player with great character and personality. Gomis originates from the Ziguinchor Region in the southern part of Senegal. The picture was found on http://senesport.info.